Click image or here to print the pdf worksheet. Directions: Open the PDF, print preview the worksheet. Only print the worksheet page as there is a directions page and web url page as well. Educational printable with Christmas holiday theme. Language activity practice for home, school classroom or homeschool. Free printables. Kids love to search for things and this is a perfect activity before or during Christmas to give the kids a fun but educational word activity. 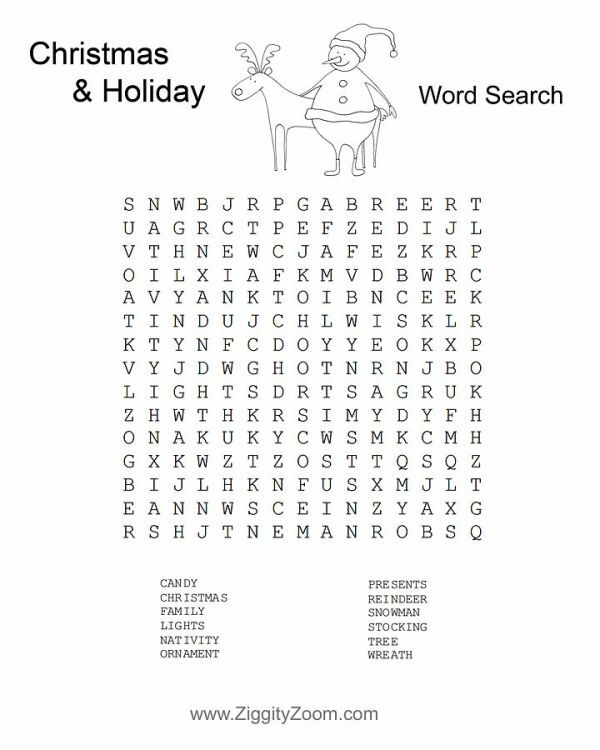 Print this Holiday wordsearch for a fun kids activity during the Christmas holidays.